All Natural Goji Berries (Lycium barbarum) - also known as Wolf Berries and Western Snowberries - are grown in the Himalayan mountains. They have long been known for their medicinal purposes in Far East medicine. These 100% natural berries are known to help enhance the immune system, better the eyesight, and help protect the liver. They are also high in Vitamin A, Vitamin C, Beta Carotene, Trace Minerals, Protein and Amino Acids. Gogi Berries are tasty on their own and are delicious when blended with smoothies, mixed with cereals, granola, yogurt and salads.. These are a real Himalayan delight! Goji Berries - Net WT. 1 Pound. Allergy Information: This product is produced at a facility producing peanuts and other nut products. May contain elements of peanuts or other tree nuts. We soaked them in a no-sugar added juice and baked them along with no-sugar added grapes in a regular scone recipe. They turned out great. We have to go the sugarless route in baking now and this was excellent. ProsEasily infused and bakes well. ConsEating them directly from the bag was not an enjoyable experience. To me they were bland and I didn't like the texture. I am on a diet that allows these Berries. I hated the taste. I never had them before. Maybe I am suppose to cook with them or something. I am going to check for recipe's . Not tasty just as a snack straight out of the bag. Since I started eating the Goji Berries (a handful once a day) I noticed that I have been sleeping better. Everything went well with this order. I got exactly what I wanted and delivered exactly when it was promised. Perfect! ProsGreat for a healthy snack. ConsThe flavor wont knock your socks off but it mixes well with other fruits. Package arrived in a timely manner, the 1lb bag is perfect for the smoothie recipe I prepare daily! And compared to the other vendors out there the price is very reasonable. I've never ordered the berries before, I expected a raisin-like product. When they arrived I was intimidated by how dry and leathery the texture was, the moisture content in my package was very low, however with a light soaking the texture was bearable; they are being blended anyway so it wasn't too much of a problem for me. ProsReasonable price for such a quantity, overall a truly marvelous product. ConsTexture comes dry and dusty, might need a light soaking prior to consumption. Great price on a hard to find item!!!! I shopped around a bit, this was the best price available, I am very pleased with my product - EXACTLY what I was looking for!!! ConsFlavor , freeze dried, wishing you had other options? IE frozen or maybe something else that retained some moisture? This product was so dried out that many of the berries were no more than dust. The moisture had been removed to a point that made them neither appetizing or tasty. Even better than expected - my first time trying them, I had read a lot about it and enjoyed it in various tea mixtures previously. But they are really good mixed with a few nuts! I love snacking on them. These were quite a surprise, I knew they were a superfood and full of antioxidants but didn't think I would like them much. They are great! 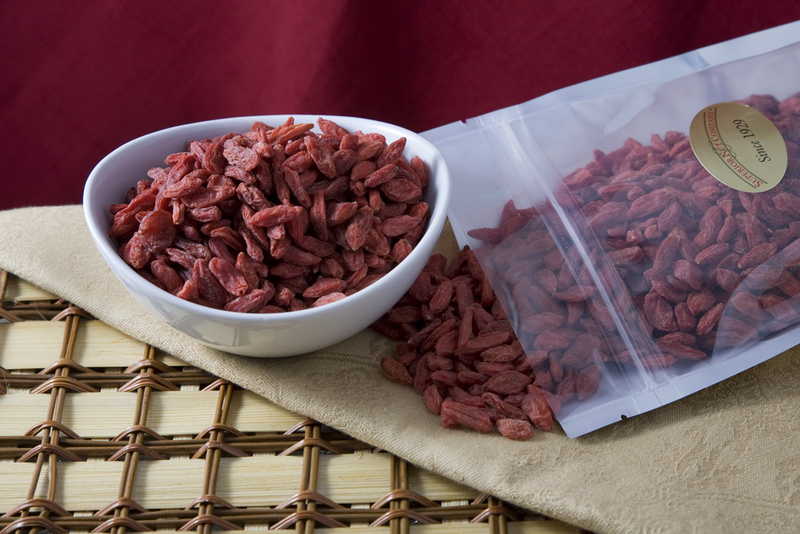 Gogi Berries are delicious, and are a very nutritious berry. I eat a handful every day, and they help keep me in good physical condition. Great product, great price, quick delivery.